The Police are not required (or indeed able) to determine why a person took their own life, only to establish the likely time, date and cause of death. This can be frustrating to the bereaved who are often left with many unanswered questions after a suicide. The Police investigation is to collect credible, reliable and relevant evidence, from which to establish a probable course of events which led up to the passing of an individual. It is not the responsibility of the police or of the Coroner to inquire into each and every possible factual detail, unless it is relevant or pertinent to the overriding duty of establishing “how” the deceased came to their death. In order to make sure that no-one else was involved in the person’s death, the Police will need to ask questions about the person’s behaviour, state of mind and actions in the days or weeks leading up to their death. These questions can touch on sensitive issues such as sexual activity, financial problems, or drug and alcohol use and may seem inappropriate but it is important that they are answered as truthfully as possible in order to help the Police - and ultimately the bereaved – find out how the person died. It may have been well known that the person was struggling or unhappy and had made previous suicide attempts; or the death may have come as a complete shock. The investigation may also involve taking witness statements from family, partners, friends or work colleagues who were in contact with the deceased in the period before their death, as well as obtaining statements from professionals who may have been treating the person, such as their doctor, psychiatrist, or psychologist. Police may need to take away personal items such as the person’s mobile phone, tablet or computer for examination, along with any note or message the person may have left. These will be returned after the investigation has been concluded. You should request a copy of any note and a list of the items removed. It is a good idea to make a note of the investigating officer’s name and his or her contact details in case you have any questions later on. Computer forensics will search the data on personal devices for messages, photos, documents or web searches that may provide clues into why the person took their own life. However, unless the person’s logins and passwords are known, the results may yield little or no information. Also, while Bermuda’s mobile phone companies can provide Police with records of incoming and outgoing phone numbers called, the content of text messages are irretrievable. 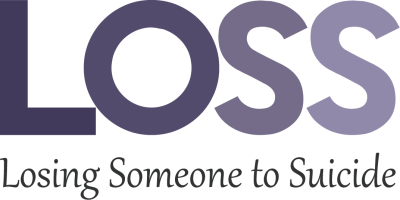 A Family Liaison Officer (FLO) may be assigned to provide support and guidance to family and friends in the first hours and days following a suicide. Note that in Bermuda, unlike other major jurisdictions, FLOs are volunteers from within the Police Service that are trained to the U.K. College of Policing standard. However, it is not a full-time position and consequently their help can be limited. They usually provide support for the family up to and immediately after the funeral. However, they do provide helpful information and advice on police procedure and legal requirements during an investigation, as well as providing helpful services such as ensuring prority customs and immigration clearance at the airport for family and friends who may be coming to Bermuda for the funeral. Police will usually issue a brief media statement about the death within 24 hours, after which a second statement is usually issued naming the deceased. Any statement will only name the deceased once the next of kin have been informed. Police statements will usually refer to the person being “found in an unresponsive state” and that “foul play is not suspected” rather than stating that it was a suicide. Only the Coroner can officially state the cause of death.